Over the course of a lifetime of owning your prized Chevy vehicle, you may be faced with this question: shall I replace a part with a genuine Chevrolet OEM (original equipment manufacturer) part or replace it with a non-OEM aftermarket or rebuilt part? At McCluskey Chevrolet, we can’t emphasize enough the importance of using a genuine OEM part from us. We are the premier destination for the entire line of Chevy auto parts in Cincinnati. 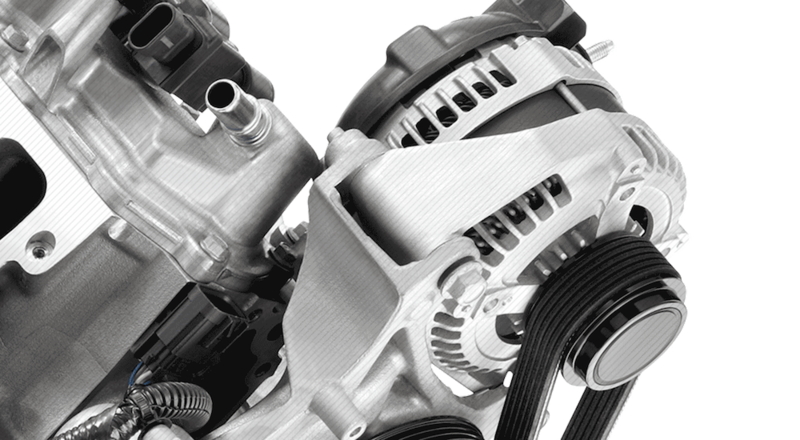 Plus, we are the tri-state region’s only authorized powertrain dealer, which means we stock Chevy crate engines and transmissions. In the past three years, we’ve gained a reputation as the number one dealer in Chevrolet auto parts sales. Looking for a simple maintenance item or that hard-to-find part? Our dedicated team of knowledgeable GM parts and accessories managers can help you. No matter what time of year you might decide to repair or customize an old or new vehicle, we have all of the OEM parts that you need. Our inventory is comprised of accessories and car parts designed for a variety of years, makes, and models. You can find all of your favorite brands, like Chevrolet, GMC, Cadillac and more in our inventory. All of our parts are the exact same parts that came in your car originally. If you want to personalize your vehicle, you’ll find a complete portfolio of accessories to enhance the appearance, performance, and capability of your Chevrolet vehicle. You’ll find genuine Chevrolet accessories that are designed, engineered, tested, and backed by Chevrolet. These include floor liners, molded hood protectors, and cargo management. We also offer associated accessories provided by a renowned group of manufacturers such as Thule, Lund, TracRac, UWS, and Curt. These third party manufacturers each provide their own individual warranty coverage. But why choose an OEM part from us? There are a variety of reasons. The first that comes to mind is safety. Often, non-OEM parts are unsafe for long-term use and pose a safety threat. That’s because they are copies of original parts or recycled components being sold at a lower cost. Perhaps you might be tempted to purchase a non-OEM part due to a lower cost. But before you choose that route, check out our website for a variety of special offers, cash back rebates, and other incentives to save you money on your purchase. Our goal is twofold: we want our genuine auto parts and accessories to keep your vehicle running at peak performance. Nothing makes us happier than supplying you with a part that makes your Chevrolet vehicle purr again. Secondly, we want to get your part to you quickly. We quickly ship our parts to you via FedEx or UPS; if we don’t have your part in stock, we’ll do our best to have it the next day. We also provide a 12-month/12,000-mile warranty for most of our parts. Our dealership in Cincinnati caters to the truck owner who needs special accessories for their prized possession. We guarantee that we’ll get you anything you need from the Chevrolet truck accessories page. For the exterior, this could include assist steps, bed-side rails, door handles, fender flares, or mirror caps. In the interior cabin, we can help with door sill plates, floor liners, floor mats, seat covers, sunshade packages, bed extenders, mats, nets, and a smoker’s package. Getting specific OEM accessories for your truck can sometimes be difficult. We know how important it is to personalize your truck. Our McCluskey Custom Cars program is extremely popular since it allows us to offer you a wide selection of OEM truck accessories and a few non-brand parts. Our goal is to provide you and your vehicle with distinct extra parts and accessories. Our team has made this possible for Chevy trucks, sedans, vans, SUVs, or other models from different brands. If you need accessories for non-Chevrolet models, our team can help you there, too. We work with companies like LCF and Galpin, two well-known auto accessories and parts vendors. We also work with Rhino Lining, a legendary brand of truck bed liners. This product is a spray-on bed liner that can withstand extreme environments. It is so effective that even the military uses it. Another popular service we offer is the capability to deliver a pre-modded off-road Silverado truck from Rocky Ridge. We’ll help you place the order and when Rocky Ridge has completed your vehicle, we’ll get it shipped to you. You’ll be as pleased with your vehicle as local Cincinnati Bengal football players and other celebrities. What if you choose the wrong non-OEM part for your car? Not only will it affect your Chevy vehicle’s appearance but it will also decrease its resale value. Our expert parts consultants are trained to help you identify the correct OEM part for your Chevy vehicle. You don’t want to choose a non-OEM part and then find that it is not reliable and is inconsistent. We’re happy to answer any question you might have or help to place an order. We offer an easy-to-use online parts order form or contact our parts manager Tom Gilbert directly at 513- 910-4026 or send an email at gilbertt@mccluskey.com. Whether you need parts for a repair or just an upgrade, we can order the right auto parts in Cincinnati for your specific vehicle. If you aren’t exactly handy around cars or don’t have the time, it’s no problem. Our onsite team of trained technicians can install those parts and accessories right on our premises. And, finally, shopping on our easy-to-use website will make your job less stressful. There are many non-OEM parts manufacturers online and it can become overwhelming. Our genuine OEM parts can be found at the touch of a key and are all backed by our knowledgeable technicians. Whatever Chevy vehicle you drive, we’ve got you covered with genuine OEM parts. Our inventory is stocked with the best genuine OEM parts for Chevrolet and many other brands. Take a look at our website and decide which OEM part is right for you. Come Down to McCluskey Chevrolet Today! Besides their extensive selection of new and used vehicles, there are clearly a number of other advantages that accompany shopping at McCluskey Chevrolet for your next ride. Whether you live in Ohio, Indiana, or Kentucky, there’s no denying that this dealership provides all of the services you want and need, and all under one roof.